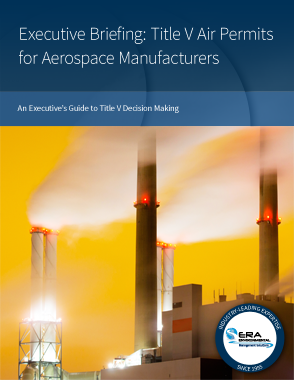 This short, concise PDF ebook gives you just the facts about Title V Air Permit compliance and Title V reporting for the Aerospace industry. Written for executives, this guide focuses on the high-level insights CEOs and other executives need to know about Title V permits. This executive briefing, tailored to Automotive executives and managers, outlines the must-know highlights about Title V air permits. Download your copy today and learn what you need to know to keep your business in compliance and protect it from enforcement fines. This PDF is recognized as one of the foremost educational guides on TRI permitting and reporting for the manufacturing industry: the EPA has even purchased the rights to use this ebook in its own training. 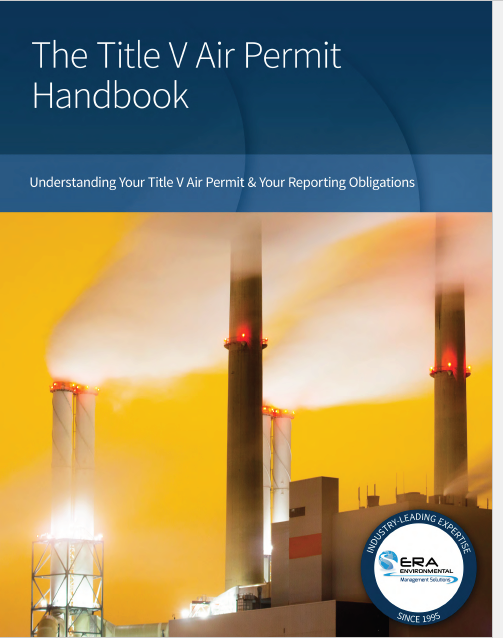 This expert knowledge on TRI thresholds, requirements, exceptions, calculation methodologies, will prepare you for Title V Air compliance - whether this is your first time getting a Title V Permit or your most recent renewal.